The media build up and spy shots leaks all culminated into an automotive climax on 13.01.2013 at the Detroit Auto Show. 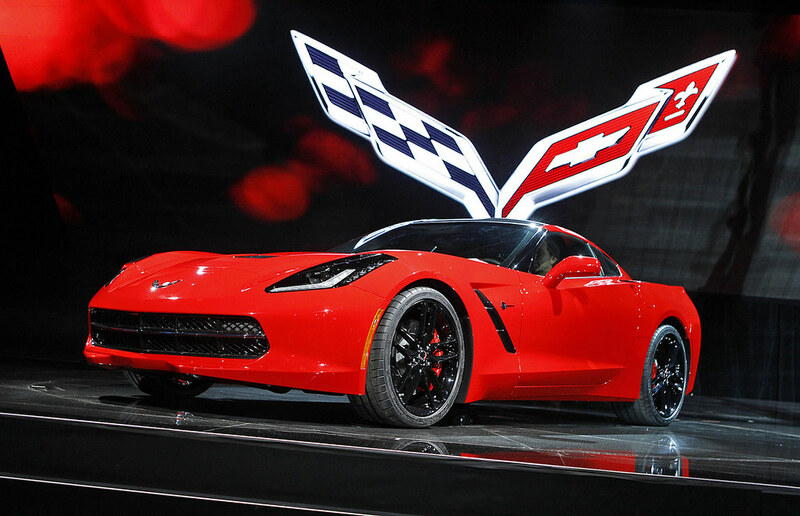 The 2014 Chevrolet Corvette “C7” has returned. And so does the Iconic “Stingray” badge. 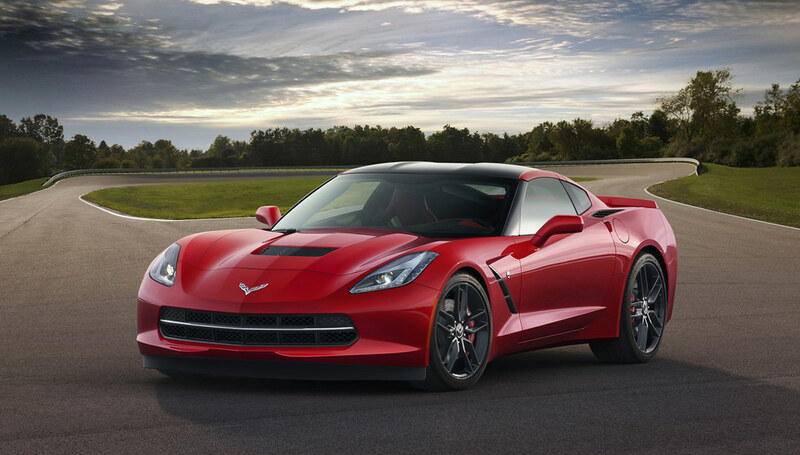 The American Muscle Car is set to give sleepless nights to many Euro Super cars. The 2014 Chevrolet Corvette C7 brings the Iconic “Stingray” badge and while its designers did not dwell on a retro outtake, they have maintained the essence of the Corvette but in a more modern and functional way. The design is more function over form but having a look at the pictures, they have nailed both the aspects bang on. The trademark round taillights are replaced with a set that’s more akin to that of the present Camaro’s, the hood is vented and finned. The materials used inside the car and the finish of it have gone through serious upgrades over the previous Corvette. The standard package is more detailed, and its build quality noticeably improved with leather wrapped surfaces and high quality plastics all around. 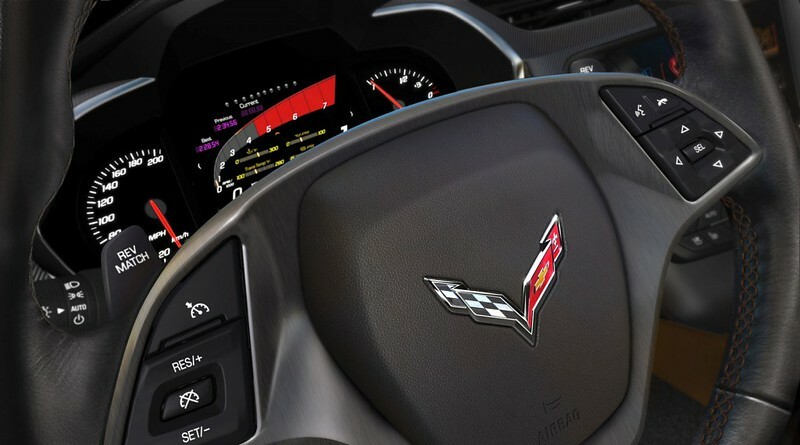 The instrumentation cluster provides a high end tech feel for the driver’s view, and improvements to the technology and infotainment features bring the Corvette fully into the modern era. Chevrolet has learnt from it Japanese and European rivals finally and is focused on swaying customers to its dealerships as a formidable and an alternative option. 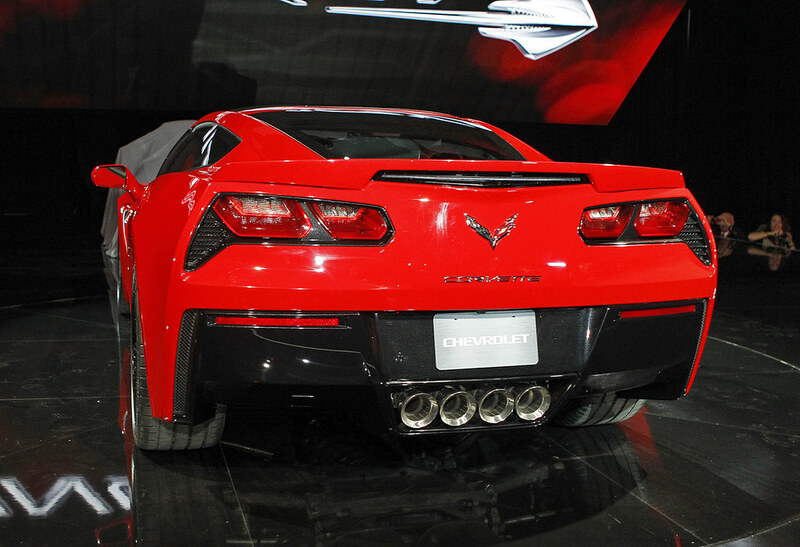 The 2014 Corvette Stingray is powered by GM’s new 6.2-liter LT1 V-8. Even with 450 horsepower and 450 pound-feet of torque, the, shall we say, “standard” Corvette will be a force to reckon with. 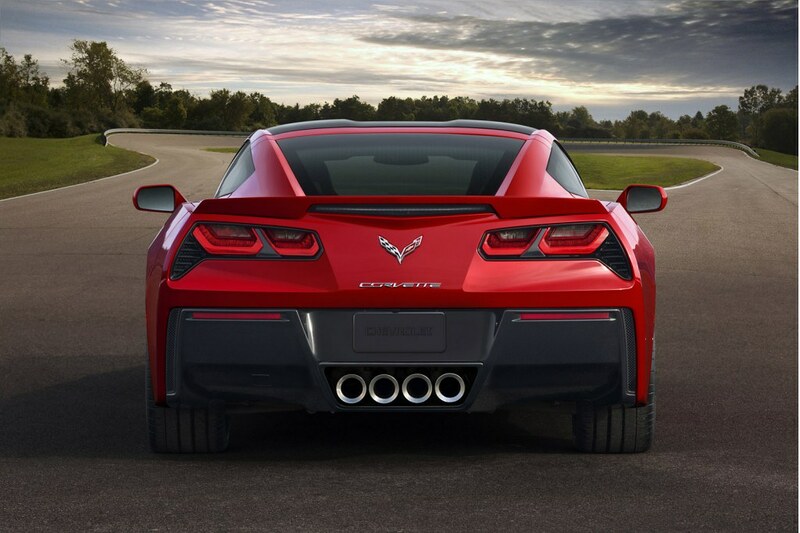 The Corvette C7 in standard trim now can sprint to 100kmph in less than 4 secs and will generate 1g in cornering grip. It will also feature cylinder de-activation and that will help with the fuel mileage as well. The Z51 Performance Package is designed for track enthusiasts and includes an electronic limited-slip differential, dry-sump oiling system, integral brake, differential and transmission cooling, suspension upgrades, as well as a unique aero package that’s said to further improve high-speed stability. 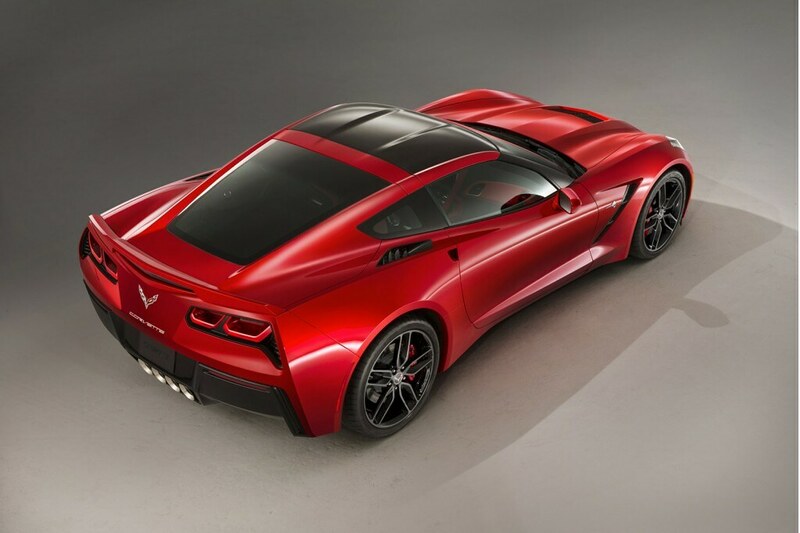 The new Corvette utilizes an all new steel and aluminum frame structure and chassis, a new power train, as well as completely new exterior and interior designs. 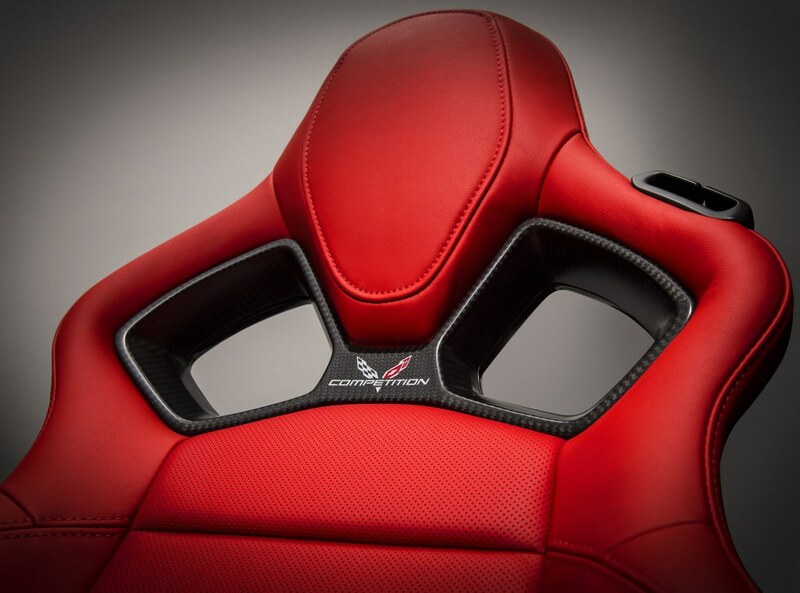 It now only shares two parts from the previous generation Corvette. The new car’s wheelbase is approximately an inch longer than the previous generation, with front and rear tracks that are almost an inch wider. At the same time the turning radius is decreased by approximately two feet for greater maneuverability in tight turns. Lightweight construction techniques include the use of carbon fiber for the hood and removable roof panel; other composites on the fenders, doors and rear quarter panels; and carbon-nano composite for the underbody panels, all of which add up to a weight saving of 37 pounds over the already light C6. 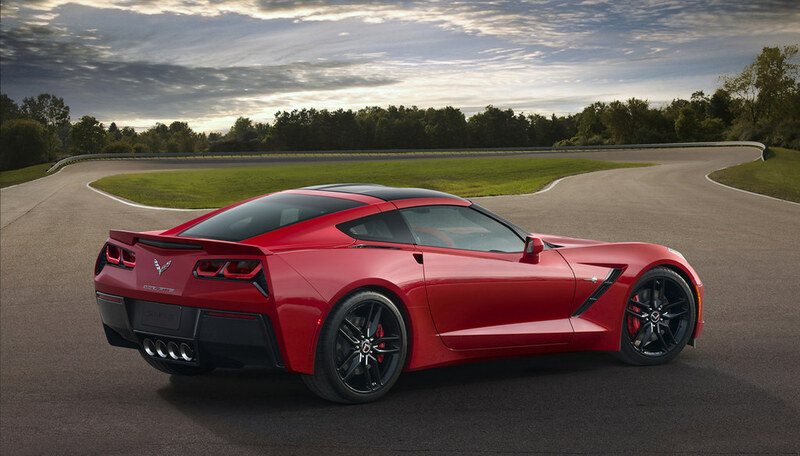 The Corvette Stingray rides on 18×8.5-inch front and 19×10-inch rear wheels, while models with the Z51 Performance Package roll on 19×8.5-inch front and 20×10-inch rear forged aluminum wheels. New Michelin Pilot Super Sport run-flat tires have been developed specifically for this seventh-generation Corvette comes as standard. Brembo four-piston calipers and steel discs adds to the stopping arsenal of the new Vette while the Z51 Performance Package would add bigger slotted discs. 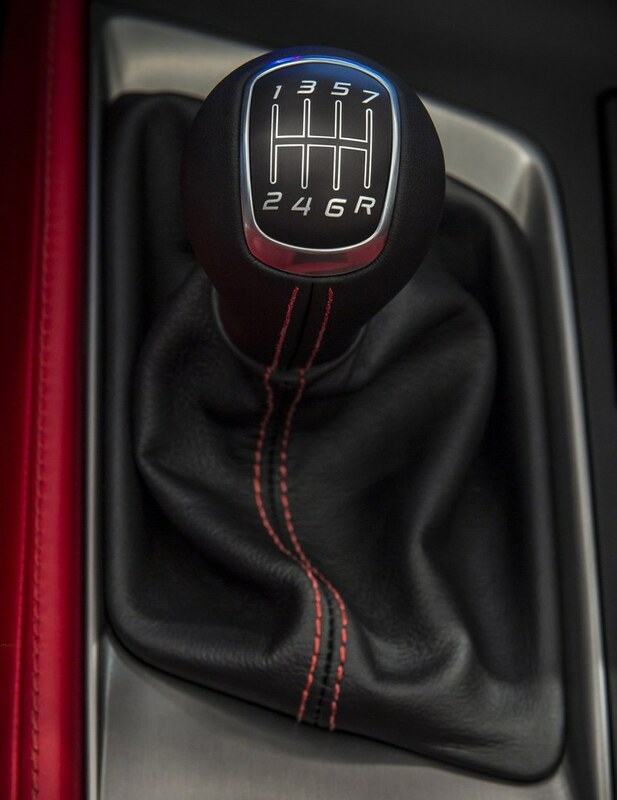 The Corvette Stingray’s driver focused technologies is the cockpit-mounted Driver Mode Selector dial on the dash, which allows drivers to optimize the car for their driving preference and road conditions via five settings: Weather, Eco, Tour, Sport and Track. Several changes are made with the selection of each mode, including the digital cluster’s gauge configuration; the throttle response; shift times (for the automatic); exhaust valve adjustment; the rate of slip for the electronic differential (for the Z51 pack); and severity of the steering speed, suspension, traction control and the Performance Traction Management (adjusts torque and brake stability). There is also a new Launch Control setting available with either manual or automatic ‘Vettes. 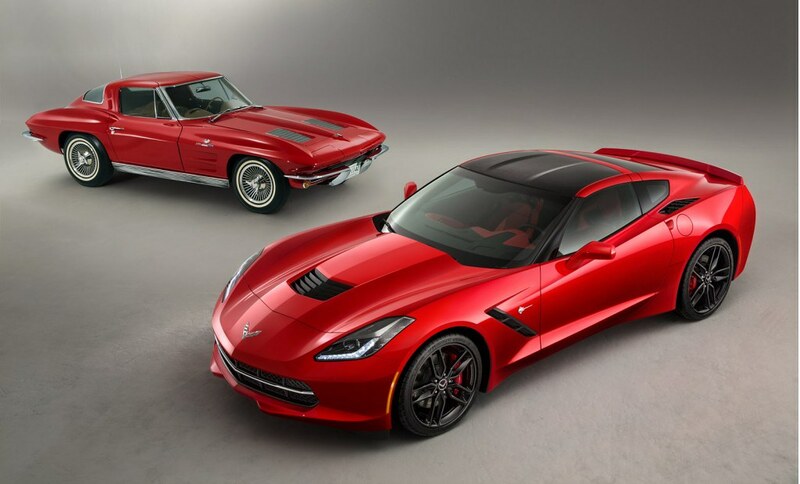 The Corvette Stingray’s should be available toward the end of 2013 and from the looks of things, we are sure that one would have to put in a deposit on it right away to get an early edition out on the road.